Four women: all victims of terrorism, all potential terrorists, and all sharing an apartment in multicultural Vancouver. 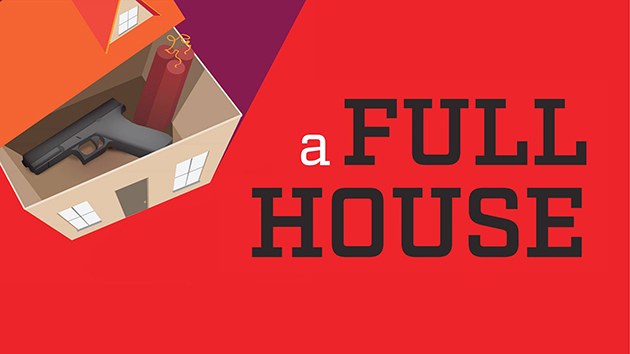 UFV English professor Rajnish Dhawan’s latest play, A Full House, is the story of their coming to terms with their sense of loss, grief, and desire for revenge. Dhawan didn’t set out to write a play with all women characters. He didn’t even know he’d be writing about terrorism, but having grown up in an environment fraught with violence, there were stories he felt he had to tell. A Full House is an all-women play that attempts to challenge the process of religious and cultural stereotyping associated with the phenomenon of terrorism. The play projects the global face of terrorism as a counter-narrative to the creation of terms like Islamophobia and the practice of racial profiling. It highlights the theme of inter-cultural dialogue and its importance in overcoming racial/cultural prejudices. “This story has been incubating in my mind for almost six years. It started with one woman’s story who had been a victim of the worst terror attack in Canada, the bombing of Air India flight to New Delhi in 1985,” recalls Dhawan. “But as the plot started taking shape, victims from various parts of the world started knocking at the recesses of my brain asking me to include their story in the narrative. Surprisingly, all of them were women. I did not start with an idea to write an all-women show but somehow the world that got created, did not have any men in it. Although the play is quite intense, it has its moments of light-hearted comedy and banter. “We are hoping to get our message across without compromising on the entertainment aspect of the drama,” notes Dhawan, whose friend and former colleague, recently retired English professor John Carroll, directed the play. A Full House plays at the Chilliwack Cultural Centre Nov 25 and 26. Ticket information here.